We’ve been looking at the potential of live streaming to Facebook Workplace for internal comms. Using live video for employee engagement is nothing new, but the familiar interface of Facebook combined with the relative ease of setting up a stream means there’s a great amount of potential. Latest reports show Workplace has had massive adoption over the last 12 months, with 30,000 organisations signing up. Workplace offers a secure space for companies to connect employees. Add the possibilities of live video streaming and you have a powerful tool for digital transformation. Since Facebook Live launched early 2016, it’s become a key PR tool; taking audiences behind the scenes, giving direct access to live breaking news and connecting fans to exclusive celebrity live streams. There is something compelling about the authenticity and transparency of a direct connection to someone who is usually hard to reach. With ‘social live streaming’ a broadcast becomes a two way conversation. Senior staff become more accessible and key business messages get instant global reach. For internal comms, live streaming to Facebook Workplace is used for CEO updates, All Staff Meetings, TownHalls, Product Updates etc. Live video builds trust within the corporate culture and makes company-wide meetings more inclusive through regular live updates. Once a live video workflow is established, it will be straightforward to move quickly to get a message out to a distributed workforce. 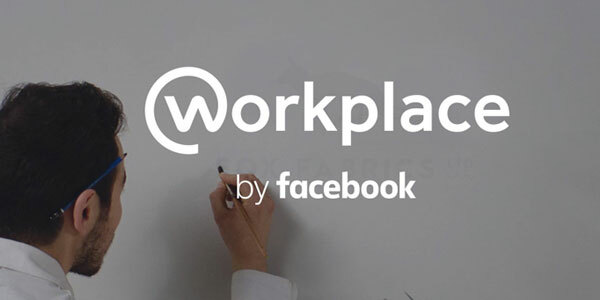 And where many webcast platforms have failed to offer a user-friendly social experience, streaming via Workplace by Facebook is a winner because the interface is so familiar and accessible. There may be times where you will need to set up a bespoke video player behind a secure web page for a live stream. Kinura currently provides this service for clients like Virgin, ARM, Channel 4 and HogarthWW. You can read a case study about the live streaming programme we work on with Hogarth here. Beyond a simple feed live from a smartphone or webcam when Live streaming to Facebook Workplace, it’s possible to scale up to professional production including multi-camera vision mixing, VT, graphics, slides, and graphic overlays. This kind of production means you’ll deliver a polished presentation that will really make an impact with employees and improve their experience of company wide communications . Live streaming to Facebook Workplace from a studio gives you more controlled production values. Where space is limited at your HQ, a studio can also work as a backup option. Studio production opens possibilities for a very ‘polished’ production. Using a branded set or backdrop gives the ‘show’ an identity and makes everything more slick. Most studios will have a lot of broadcast kit to hand so there’s no surprises and fail safe backup. Webcast studios come with dedicated high speed internet which also makes live broadcasting more reliable. Broadcasting over a bonded 4G network now provides a reliable and affordable way of streaming from any location, even if there’s no bandwidth available. This can add a fun element to keep your audience glued to the screen, or just mean you can get out and stream your event from the factory floor or a far flung office instead of always being at your HQ. Bringing in remote speakers on VC / Skype requires a bit more investment of time and planning, but can make an event more collaborative and allow speakers from remote offices to present as part of the live stream. This is achieved by setting up the multi-way feed and then integrating it into the main video mix. As long as it’s planned and tested, this works really well. Workplace’s auto translate feature lets employee feedback be shared more widely without language barriers, and adding a live translation element to a broadcast via audio overlay or captions can also widen out the online meeting to more employees. Think of your employee updates in terms of the full possibilities of live broadcasting. 1000s of organisations are already using Workplace. It’s mobile-ready, and most people are already trained to use it by default. Find out more about how Workplace is being used and by whom in this great blog by AllThingsIC. For more internal comms and digital transformation know-how, check out Simply Communicate‘s #smilelondon conferences. Live streaming to Facebook Workplace (and on YouTube). Follow SimplyCommunicate on Facebook. If you’re planning a webcast or webinar and need a quote quickly we’ll need some information from you. Fill out the form and we’ll get back to you as soon as we can. We usually respond within 1 hour during UK office hours (9am to 6pm GMT). * Where is the event taking place? We work in all regions in the UK and continental Europe or you can book one of our studios. * When is the broadcast? Usually, we’d need at least one week’s notice so we can adequately prepare for a live stream. However, certain times of the year are busier than others so don’t leave it too late! * Do you have an AV company looking after in-room AV/sound? If you’re planning on using a hired venue for a webcast or live stream then sound (microphones & in-room PA) will be provided. However, if you’re planning using one of your own locations we’ll need to allow for sound technicians. * What platform would you like broadcast on (via social media or private/securely)? We can distribute your stream to multiple social media platforms and your website simultaneously. Or, if you’re planning an internal comms broadcast or any other live stream that contains sensitive information, we can make it secure for you. If you have a contract with a webinar provider we’re happy to plug our production in your account.